1. 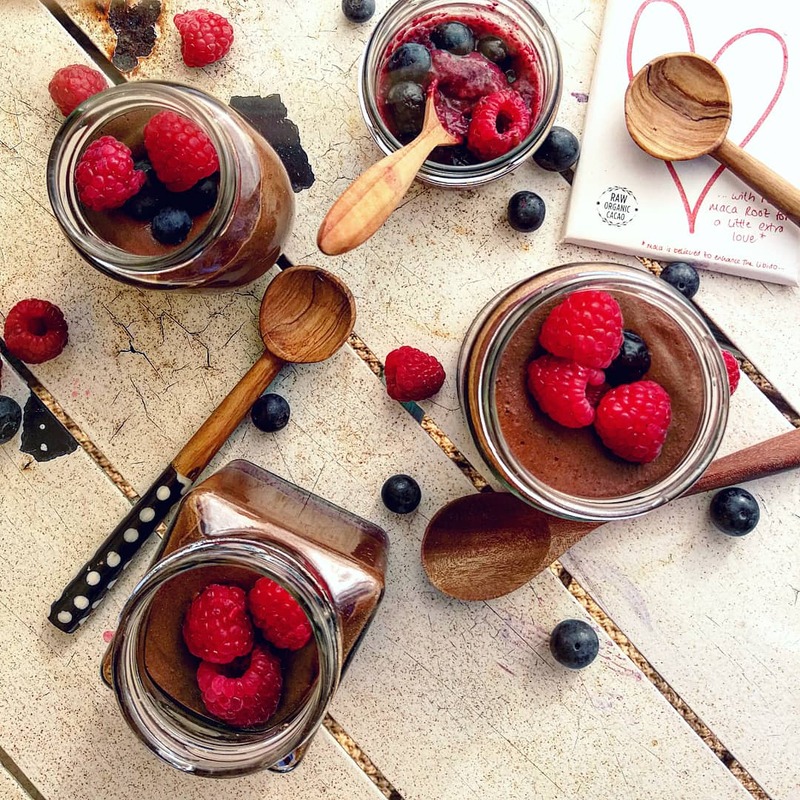 Spoon in 1-2 Tbsp of the chia seed jam per glass jar/ ramekin and place into the fridge until required. 2. Melt the chocolate over a bain-marie, once melted let it cool slightly but not so much that it starts to set. 3. Whisk the chickpea brine and agave (optional) using an electric hand mixer, until soft peak stage. 4. Fold in half of the chickpea “meringue” into the cooled melted chocolate using a large metal spoon. 5. Fold in the remaining chickpea “meringue” and gently spoon the mixture into the prepared jars. Place in the fridge for at least 30 minutes before serving with fresh berries.